While the main purpose of commercial outdoor lighting is to provide a much better environment for people to work and live in particular areas during the hours of darkness, it is also important to ensure that the lighting solution that you provides includes certain aesthetic elements that can enhance and improve the area around your building, and create a much more positive environment for customers and employees alike. The appearance of the outside of your business premises can be transformed through the use of attractive commercial outdoor lighting, and by choosing and designing a system that complements your buildings, you can get the effect that you want without having to impact on the overall cost of the installation. By utilizing the selection of different products available from Easy Rack and taking advantage of the advice available from specialist lighting engineers, you can create the best possible commercial outdoor lighting system to meet the needs of your business. 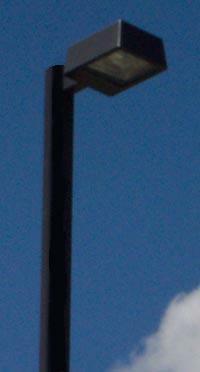 Commercial Outdoor Lighting. The appearance of the outside of your business premises can be transformed through the use of attractive commercial outdoor lights. The Wall pack is a compact all in one light source that uses a cast aluminum, housing all of the mounting equipment, the lap, and the power cabling. Dock loading traffic lights have red and green lights that help avoid accidents and injuries by providing clear communication between dock loading workers and truck drivers. While sufficient lighting around a commercial facility deters crime, it is vital that security lighting be calculated carefully as poorly designed security lighting can create glare that criminals are aware of and actively take advantage of it.